At Bolsover Cruise Club, you can soak up year-long sunshine, discover ruggedly beautiful landscapes and magnificent black sandy beaches on our Canary Island cruises. Whether you sail in the summer or want to be whisked away during the winter, this cluster of perennial volcanic islands offer a dramatic mountain and desert backdrop, rich history and culture, plus exquisite cuisine and an endless choice of activities. From adventure enthusiasts and families in search of excitement, to couples seeking a relaxing retreat, Canary Islands cruises will appeal to every type of traveller. As you sail between paradise islands, you’ll find each has its own unique charm. 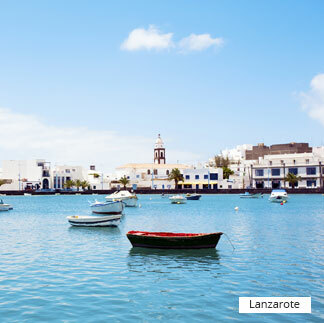 This includes the black beaches of Lanzarote, the traditional Spanish architecture of Tenerife, as well as the tranquil atmosphere of the smaller islands. Take advantage of our Canary Island cruises by visiting historical sites, unwinding on breath-taking beaches or trying an exhilarating sport. 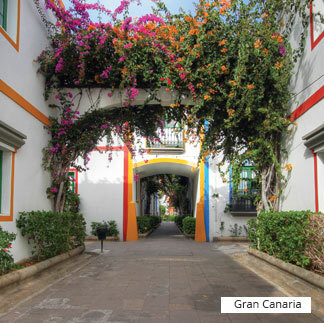 Head to the house of Christopher Columbus on La Gomera, take a trek through the wildlife-filled forests of Teide National Park, or enjoy adrenaline-fuelled activities on the sand dunes of Fuerteventura. 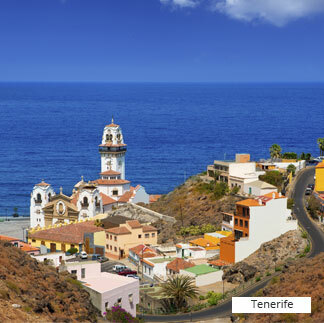 From windsurfing and wine tasting to cobbled streets and charming coves, our Canary Island cruises combine panoramic scenery and stunning weather with luxurious ships, providing comfortable cabins and delectable dining experiences. To discover these lava-shaped landscapes, browse our Canary Island cruise deals. We make booking your perfect cruise easier. Contact our award-winning and friendly team for exceptional customer service and your own dedicated cruise expert.